Merry Meet my friends! I sure hope that all of you are surviving this Winter we are having! Seems like no matter where you live, you are having colder, wetter, snowier, windier and icier weather this year! (not sure those are all real words but you know what I mean LOL) I love Winter as you all know and I still do. I think this amazing weather we’re having is Mother Earth making an adjustment for some of the mild Winters we’ve had in the past several years. At least where I live that is the case. It’s a good thing 🙂 Spring will come….really…it will!! and then my friend Johanna Lawson over at this blog http://johanna-villagewisewoman.blogspot.com/2014/02/its-major-award-or-two.html both honored me with the awards. Thank you so much to both of you!!! Hugs!!! Oh and to my readers, if you aren’t familiar with these blogs, you might want to be 🙂 They are wonderful!! Now, my job is to do what the awards ask me to do….and then pass them on to other bloggers I feel are deserving of them. So here goes. A – Autumn…my very favorite time of the year! D- Daughters…I have two of them and they are my Life! G- Grandkids! I have three of them and they bring me so much Joy! H- Herbs! All things herbs! 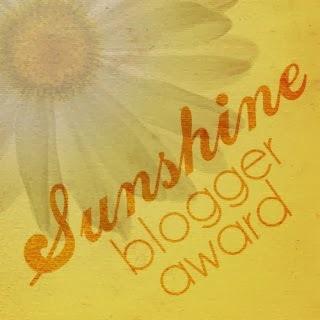 Ok….the next award is the Sunshine Blogger Award. For this award I am to tell you 11 facts about myself. Oh boy…. 2. Speaking of herbs…I am studying to get my herbalist certificate thru Rosemary Gladstar’s home study course. 3. I adore the Smoky Mountains….my soul just soars when I’m there. 4. I have been a Witch all my life but didn’t know it until about 15 years ago. I continue to learn and grow and LOVE my Path everyday! 5. My greatest regret is only having 2 children. 6. I am a registered nurse but retired early when I was 42. 7. I am nuts about the Outlander series books! 9. I was a dancer and baton twirler up til I was about 18. 10. My friends and family mean the world to me. 11. I need to work on spending more Me time! Ok….now you ALL know me better. Now, I’m to pass on these awards. I have chosen these blogs! While I’m at it…I want to thank my readers from the bottom of my heart! I have nearly 470 followers and over 122,000 hits and today was my 4th year anniversary of blogging!! Thank you so much!! You all inspire me to write. Please continue to comment, say hello, tell me what’s going on with you..I really enjoy it! Hope you all have a great rest of the week!! Tagged as awards, Blog awards, blogs, thank you!